Business world going through major changes which involve major leadership development and expansion. Most of the managers had good idea what leadership represent but some of them mold leadership and management in one sculpture. Leaders have futuristic vision which they articulate into smaller tasks. Managers will manage the people and the tasks until the vision is achieved. The differences and similarities between management and leadership will require books to discuss. This Blog entries will discuss some of the modern leadership theories for the interested reader to study, compare and chose which leadership style is suitable for the current and future tasks. Even though no leadership style is universal, leadership styles are similar because many overlapping factors exist in most of the leadership styles. Five leadership styles are briefly discussed in the booklet which are transformational leadership, situational leadership, transactional leadership, charismatic leadership and servant leadership. The five theories are examined to find their similarities and differences, then their similarity are discussed and compared to give the reader a spectrum of leadership tools to sue. A final discussion on the how each style might address modern issues and challenges is set at the end of the booklet. Many definitions exist for leadership enough to fill this page. Google search for “definition of leadership” returned 832,000 entries. Merriam-Webster online dictionary defines the leader as the person who has influence and commanding authority. Business dictionary define the leader as the person who is able to exercise a high degree of control and influence over other. For a person to be a leader he needs a group of followers to lead. The leader would need a vision, goal or target to aim for. That goal or vision should be communicative and simple enough for the followers to understand. The followers will believe the vision and aim for its achievement. The leader should empower and support the followers to achieve this vision. The empowerment comes from the leader’s believe in the followers capacities and development of their competence. Survey distribution should be maximized to reach the highest number in the targeted population. One of the classic but effective techniques in survey distribution is handing the survey to classroom student by the end of the class. Al-Modhefer and Roe (2009) used this technique by giving the instruction on how to fill the questioner at the beginning of the class. Al-Modhefer and Roe (2009) explain to the students that they are not obligated to respond to the questioner although their response would remain anonymous. This techniques was successful to yield 54% response rate. The researcher need to supply enough information on the survey to validate it for the readers. The hard copy survey questioner should be accompanied by a letter explaining the purpose of the survey and the and the final goal to encourage the participant involvement (Oladiran, 2009). The questioner should be drafted and reviewed several times then piloted on a small group of the population using the convenience-sampling technique. Oladiran (2009) used the convenience-sampling technique and was successful to enhance the questioner draft. The transformational leadership style was first introduced by the Pulitzer-Prize-winner James M. Burns, who is one of the first scholars who identified the transformational leadership theory in 1978 (Jandaghi, Matin, & Farjami, 2008). The transformational leader guides the followers to solve the organizations problems and improve their businesses by changing the way they look at the problem. This kind of leaders motivates the followers to gain support for their visions (Judge, & Bono, 2000). The transformational leaders are motivators and usually charismatic. Such leaders will always think of new ways to serve their organizations. Idealized influence or charisma. The leader will use his charisma and social skills to appeal to their followers and win their trust. The followers will obey the leader out of respect and confidence in his character. Inspirational motivation to alert the followers on the visible and the invisible problems in front of them. The leaders use metaphors, slogans and simples to encourage the followers to sense the problem from a different angle. The leader will attract the followers by painting a new future for them. The followers will want to change to reach this new exciting future and overcome their self-interests in favor of the organization’s benefits. Individualized consideration: the leader support followers by guidance, motivation and encouragement. The leader will teach the followers to develop and grow. The leader will listen to the followers’ needs and dreams. Intellectual stimulation: the leader will challenge the existing assumptions and shows new perspectives to resolve the problems. The leader will help his followers to use innovative idea to think about the existing problems and challenge old believes. Originate set of principles and values for themselves and their followers. Open for new ideas and welling to change in favor of the others. A study by Smith, Montagno, Kuzmenko,(2004) concluded that transformational leadership would be best used in a dynamic organization to reap its benefits. Such visionary organizations have empowered employees with greater responsibility that needs to innovate and take risk. This leadership style is consultants’ preferred style and is popular in training courses since it illuminates different techniques and can be applied to almost every situation. Figure 1 in the next page explains the relationship between the leader and his followers in different situations. Each situation depends on the amount of guidance needed from the leader and how much support is required to carry out the task (A Jossey-Bass reader, 2003). Figure 1 has for quadrants numbered 1 to 4, each point below correspond to the matching section. The leader should delegate the task to the followers when they know what is required to do and are motivated enough to do the task. The leader will give low guidance and low support to the followers. The best employees are situated in this section since they are experienced and willing to work, such employees should be rewarded often to keep them motivated. The leader will take part in the task and share ideas and facilitate decision making when the followers know what is required to carry out the task but not motivated to work. Experienced but sluggish employees are in this section. Such employees know the rules and regulations and had enough time to figure out how to escape them, so special management is required to handle such employees. The leader should motivate followers in this section; he needs to sell his vision and ideas. The leader wants to explain his decisions and give opportunity for clarifications. New employees are located in this section and they need training and knowledge transfer to acquire necessary skills for the task. New employees need motivation to accept the task and execute it. The leaders should give specific instruction to the welling followers. Such followers are eager to carry out the task but do not know how to. They need the leader’s guidance and supervision. They are motivated to do the task but lack the skill and knowledge. Veteran slow learning employees or experienced employees relocated to a new environment are located in this section. The situational leadership style can cover most of the leadership spectrum if the leader understands the follower’s needs and wants. The leader should know which motivational style is applicable for each situation and what guidance is required for specific task. Situational leaders can excel during specific situations like emergencies and crises, but the same leaders might not be capable to lead the same followers to succeed in futuristic tasks. 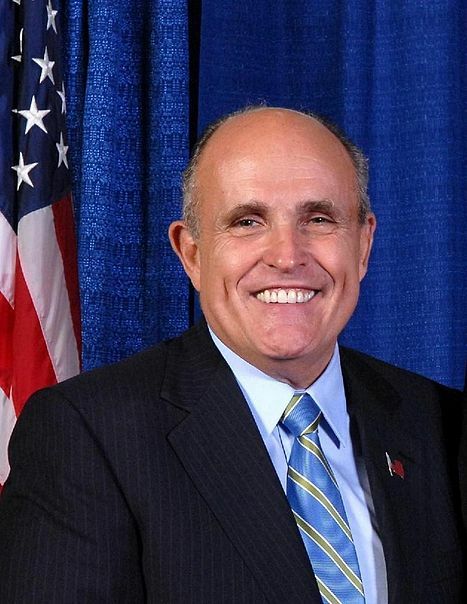 Rudy Giuliani, New York’s mayor during the September 11 attack on the world trade center was famous for his leadership during the attack. He was namedPerson of the Year by Time magazine and named an honorary “Knight” by Queen Elizabeth II. When he was asked by the reports few hours after the attack he stated “Tomorrow New York is going to be here. And we’re going to rebuild, and we’re going to be stronger than we were before…” However, Rudy Giuliani could not succeed in his campaign to 2008 US presidency. Transactional leadership is an exchanging relationship between the leader and the followers. This leadership benefits both the leader and the followers; the followers exchange their obedience and faithfulness with the appearing benefits from the leader’s guidance. For example, the followers will give the leaders their votes in exchange for governmental spending for the community. Such spending can come in a form of building new schools or hospitals. The leader will set up a bright goal that is mutually valuable for the leader and the followers, then he would clarify the roles and responsibilities the followers should take (A Jossey-Bass reader, 2003). The leader will have access to a rewarding mechanism, which he can use to motivate the followers. This mechanism may reword the followers with tangible rewards and intangible rewards, like “not punishing them” for not achieving the goal. Contingent reward: The use of incentives and rewards to encourage followers to do the wanted task. This is the main factor of this leadership style. Passive management by exception: leaders may interfere and use negative influence like punishments to limit the undesired variation in followers’ performance. The leader may interfere by threatening to enforce the powers and authorities he holds if such deviations take place again. Active management by exception: look at followers’ performance and look for variations in the performance. Corrective actions may not be needed but rules may be forced to correct the variations. The leader may promise and give rewards if the agreed targets are achieved again. Laissez-faire leadership is a “no leadership” factor where the leader does not manage the followers, and may over delegate to the point where he ignores the problems when they occur. The leader is a student who learn continuously with high ethical standards (Bromley, H., & Kirschner-Bromley, V., 2007). Since the leader supposes to change the statuesque, then he will be constantly under criticism and negative feedback. The followers will always look for the leader when they need directions and guidance. The leader should be able to integrate the followers’ activities after he group them in coherent teams (Yukl, 2006). Each leader has personal trait, and according to Yukl (2006), the leader’s personal traits are less important than his skills. However, the leader’s needs, core-values and temperament are important. The charismatic leader radiates eagerness and energy to his followers. Such leaders should be lured to the organization since his followers are clinked to his magnetic personality. Losing such leader will disorient the organizations since the leader made the employees believe in his vision through his charisma. A charismatic leader should be ethical and self-confident according to Judge Bono (2000) because he is carrying and performing an unusual mission. This mission will push out many opposing employees out of their comfort zone. Create or lead a new vision that challenges the status quo. Such vision will be easy to understand and adapt by the followers. Set unusual strategies to carry out the vision and exceptional methods to complete. Take personal responsibility for fulfilling the vision and sacrifices self-interest for the cause. Look able and confident always. Use his charisma to persuade the followers. He does not need power or authority. A charismatic leader without a vision will be popular but inefficient. Such leader will be known, active and has many followers. These followers might be rewarded and satisfied, but without a vision to achieve, the followers will not be productive. Indira Gandhi was charismatic leader without a clear vision. She was popular while she was holding the highest office in India. However, she strived for power and authority centralization without communicating a clear vision for her country to carry out (Clawson, 2008). As a result, India declined into lower levels of poverty until Indira Gandhi was assessed by one of her personal guards. The previous definitions in the body of the paper showed the leader as important man with charisma and authority. The servant leader style displays the leader as a humble person who leads the followers by serving them. The servant leader is helping and empowering the followers to achieve the wanted vision; by being a servant to the followers he assumes the leadership position. The servant leader should listen and persuade the followers by communicating and explaining his ideas (Smith, Montagno, Kuzmenko, 2004). The servant leader communicates these ideas in a simple and clear way that make the followers concentrate on the ideas not the leader. Such simplicity makes the leader great. Servant leadership theory was introduced by Robert Greenleaf in 1970. It became popular because of the contrast it has with the other leadership theories. The servant leader suppose to give service to his followers while the authoritarian transactional leader command and reprimand followers. The servant leader uses his power to empower his followers. The servant leader has good lessening and communications skills to enable him articulate the problems he faces. He studies his followers and figure out their needs, and then he spends his time and effort to satisfy their needs. The servant leader should forward his followers by standing by them when they need support or when they are in trouble. He sends their voices to where they want them to be heard. The followers will be willing to fulfill their duties when they are certain that a leader is attending their needs and clearing all obstacles out of their way (Yukl, 2006). The bond between the followers and the servant leader is honesty and openness which they both share. The leader’s integrity and openness allure the followers to become servants themselves. They will be served, nurtured and satisfied. The leader offers resources and support without looking for recognition or credit. His services to the community or organization create a void for him to fill and that is the leadership he was fulfilling without asking for gratitude or benefits (Yukl, 2006). The servant leader will accept the new leadership position not because he was looking for it, but he accepts it for the benefit and advancement of the organization he was serving (Smith, Montagno, Kuzmenko, 2004). The success of this theory can materialize when the followers themselves become servants. A study by Smith, Montagno, Kuzmenko, (2004) decided that servant leadership would be ideal for static not-for-profit organizations that consist mostly of volunteers and people seeking opportunities for personal growth. Transactional leaders drive the goals by rewards and punishments, the old caret and stick method. Managers would love to use this technique because of its effectiveness, especially with new inexperienced employees. The managers would easily achieve their quarterly targets by dangling the rewords in front of the employees while presenting the consciences (punishment) if they missed the set targets. Depending on punishment may frustrate the followers and could drive the experienced employees out of the organization. Transformational leadership can improve the transactional tools by offering support and empowerment that let employees cooperate and innovate to achieve the same targets in a better way. Charisma is important factor in most of leadership theories, however, charisma is not important to put together a “visionary company” (A Jossey-Bass reader, 2003). Charisma influence followers’ emotions but the transformational leader provokes more emotions to the organizations values (Clawson, 2008). While transformational leadership offers empowerment and strong communications to its vision, charismatic leadership makes the followers dependent on thecharismatic leader. Clawson (2008) adds to his previous points that charismatic leaders are few when compared with the transformational leaders. And charismatic leaders depend on a love-heat division in the organization, while transformational leaders much less polarized. The servant leadership style state that the leader is equal with the followers; and all members of the organization has the same rights to vision, respect and information (Smith, Montagno, Kuzmenko, 2004). The leader’s main task is to foster a community of servant in the organizations. On the other side, the transformational leader is motivated by the external environment affecting the organization and his duty to sponsor the vision. A study by Smith, Montagno, Kuzmenko (2004) concluded that servant leadership would be ideal for static not-for-profit organizations that consist mostly of volunteers and people seeking opportunities for personal growth. While transformational and transactional leadership styles are fit for a more challenging environment. Situational leadership style covers most of the factors in the above theories and more, but few researches and studies supported the situational leadership theory. In conclusion, although no style is universal, leadership styles are similar for two main reasons. First, most of the theories share the same factors and most of them are now covered in one integrative style called situational leadership theory. Each style is ideal for a set of situations and different culture. The transformational style is best set for dynamic organizations that face strong external influences. The transactional leadership style is ideal for an authoritarian organization where followers exchange their obedience and faithfulness with the appearing benefits from the leaders. Charismatic leadership style is best used to cultivate the followers around a charismatic leader who will tickle their feelings and appeal to their emotions. The organization will benefit from such leader because of the low cost of his leadership style. Situational leadership style look impressive on paper and favored by consultant and training specialist, but would be difficult to execute and measure. Almost all leadership theories call for the same personal characters in a leader. These characters are his ability to draw up a vision, transfer it to his followers and support them to fulfill that vision. The followers will always follow the leader even if he scaled up the implementation process only if he had an appealing vision that benefits the community, otherwise, the followers will run after the leader for different reasons! A Jossey-Bass reader (2003). Business leadership: a jossey-bass reader. San Francisco: Jossey-Bass. Bromley, H., & Kirschner-Bromley, V. (2007, November). Are You a Transformational Leader?. Physician Executive,33(6), 54-57. Clawson, J. G. (2008). Level three leadership: getting below the surface (3rd ed.). New Jersey: Pearson Prentice Hall. Calloway, J., & Awadzi, W. (2008, July). Leadership and organizational success: an examination of the trait, skills, and transformational approaches. Consortium Journal of Hospitality & Tourism, 13(1), 13-23. Jandaghi, G., Matin, H., & Farjami, A. (2008, July). Comparing transformational leadership in successful and unsuccessful companies. Proceedings of World Academy of Science: Engineering & Technology, 31, 464-469. Judge, T., & Bono, J. (2000, October). Five-factor model of personality and transformational leadership. Journal of Applied Psychology, 85(5), 751-765. Kent, T., Crotts, J., Azziz, A. (2001). Four factors of transformational leadership behavior. Leadership & Organization Development Journal, 22(5/6), 221-229. Khatri, N. (2005, April). An alternative model of transformational leadership. Vision (09722629), 9(2), 19-26. Navahandi, A. (2006). The art and science of leadership. (4th ed.) New Yourk: Prentice Hall. Smith, B., Montagno, R., Kuzmenko, T. (2004). Transformational and Servant Leadership: Content and Contextual Comparisons. Journal of Leadership & Organizational Studies, 10(4), 80-91. Yukl, G. (2006). Leadership in organizations. (6th ed.) New York: Pearson Prentice Hall. Wren, D. A. (2004). The history of management thought. (4th, Ed.) New York: John Wiley & Sons, Inc. I hope this answer your inquiry.